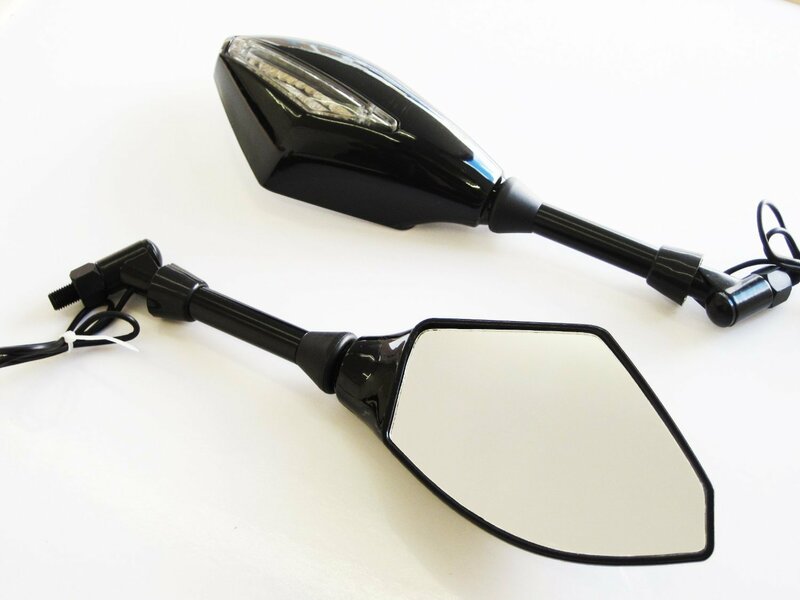 Successfully Added 1 Pair 10mm 8mm Universal Motorcycle Rear View Side Mirrors with LED Turn Signals to your Shopping Cart. Made of high quality material, provides clear view and not easy to crack or break. 360 degrees rotatable, you can freely adjust it for best viewing angle. Streamline design, has less wind drag and makes your motorbike more eye-catching. 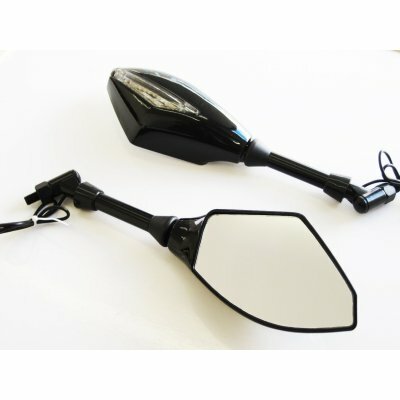 Suitable for most 8 mm or 10mm motorcycle mirrors.